Acknowledging the role of taxpayers in nation building, Finance Minister Arun Jaitley on Monday provided a relief to small taxpayers through rebates. The Finance Minister raised the ceiling of tax rebate for tax payers with up to Rs. 5 lakh annual income from Rs. 2,000 to Rs. 5,000. Taxable income between Rs. 2.5 lakh and up to Rs. 5 lakh, income tax is applicable at the rate of 10 per cent, per annum. 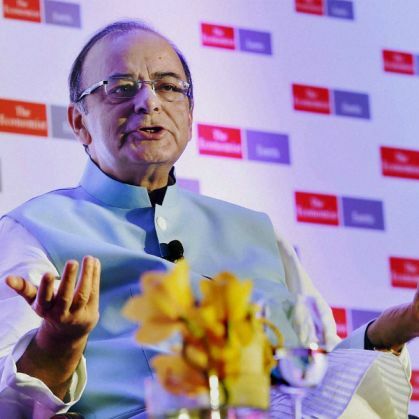 Announcing that the government will pay Employees' Provident Fund (EPF) contribution of 8.33 percent to all new employees for the first three years, Jaitley said, "Necessary interim provisions have been made for the implementation of the Seventh Pay Commission recommendations." The Finance Minister announced that deduction for rent payers has been raised from Rs 20,000 to Rs 60,000 to benefit those living in rented accommodation. Besides these, the government has also provided health insurance of up to Rs.1 lakh per family.